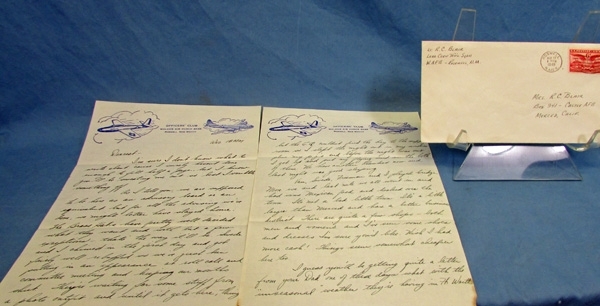 Original era letter. 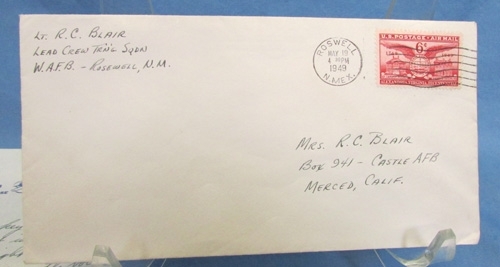 An interesting two page letter from a young USAF officer to his wife in California. Good content about conditions at the base, mentions of a crash of a C-47 and loss of 6 airmen. 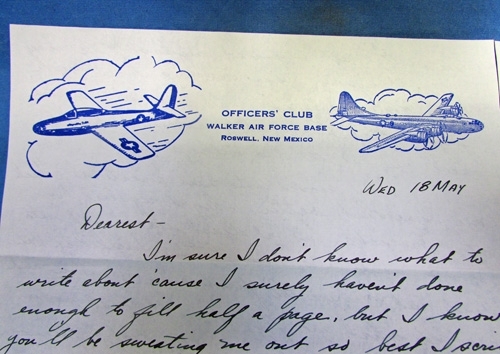 Written on Walker AFB Officers Club stationary. Roswell of course being the site of the infamous "Alien" incident in 1947.